"Ne Oublie" - "Do Not Forget"
County Antrim. "The Island County"
Watty Graham United Irishman Executed 1798, James Graham , Watty's father who was also under a sentence of death escaped to America. Elizabeth Graham, my Grandmother wife of James Graham Glenwherry, her great Great Grandfather Alex Graham took part on the attack on Belfast Military barracks in 1737, and folklore has it that he was the man who shot the sovereign (Mayor) dead, during the 'Heart's Of Steel' disturbances, hence his family became known for generations as the "Sovereign Graham's'. Richard Graham, served in 1st W.W. second child of Elizabeth and James. Was later O.C of the I.R.A during pogroms in Ballinahinch, Co. Down. 1920's. In the USA he joined with Cathal O'Byrne, as Cathal's musical support to raise funds through travelling concerts to raise money there to build houses for Catholics who had been burned from their homes in ther pogrom, Amcomria Street, Beechmount was one such street of new houses. 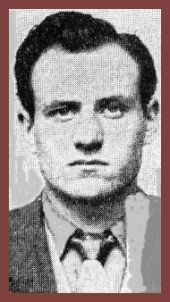 James Graham, my father,3rd child of Elizabeth and James, Served in Irish Army. 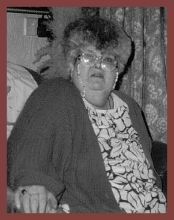 Catherine 'Kitty' Graham (nee Mullan), My mother and reared in Ardoyne. Her family originated from Toomebridge County Antrim Came from proud Irish Catholic Republican background. She was named after her grandmother Catherine Mullan. Joe Graham,April 1981, on Los Angeles Radio putting lie to the black propaganda about the Hunger Strikers which was being peddled by Adam Butler of the British Government and N.I.O around California TV and Radio. Most present day Graham's in Ireland stem from an extended family of that name who settled in White Park County Antrim in the early 1600's having been banished as Reivers (Outlaws) from Scotland where they suffered from persecution and certain death as a law had been passed that anyone by the name of Graham were to be hanged summarily. Along with the Graham's came their many "Sept's", that is families of which the mother was a Graham female. It is said that some reversed their name to Maharg to escape scrutiny.The original Graham's Fort at Glenwherry is still in existence to this day and is marked on ordance maps. It is sited on the farm ground of a present day Graham, John. These Grahams are descendants of the Graeme who commanded the armies of Fergus II in 404 AD. and until their departure from Scotland they were known as The Graham's of the Borders. 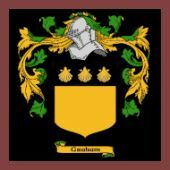 On the Graham Coat of Arms are three scallop shells. These represent pilgrimages of three Graham ancestors. The pilgrimages were made by mediaeval knights to the shrine Santiago de Campostila. Around 1230-1260, pilgrimages were made by two of the senior Dalkeith branches of the Grahams and this was marked by the inclusion of the scallop shells on the Graham Coat of Arms. Shells were used to collect alms for the poor. More direct evidence has since been found of the sixth title holder of the Graham of Montrose family. Patrick Graham made two pilgrimages – 1352 and 1361. Official records show he was issued certificates of safe conduct through England. The motto "Ne Oublie", means , "Never Forget", no hinting of as bibical reference and the three pilgramages. The Graham's of Scotland were no angels, they had became outlaws, border reveirs, raiding cattle and burning castles belonging to their sworn enemies. But became worn down by the ever increasing success of the goverment forces and their local allies, they excepted they would have to move if they ever were to have a settled life again. I’ll make you glorious by my pen And famous by my Sword." Such was the background and origins of the Graham's of Glenwherry who through the next next 350 years eagerly took on an Irish identity and indeed quite often were more Patriotic Irish than the native Irish.They remained staunchly Presbyterian, indeed Francis Graham paid for and gave the land for the erection of Glenwherry Meeting House. Coincidently, to this day Glenwherry does not have an anglican Church. An earlier Francis Graham was the first Graham child baptised from Glenwherry. 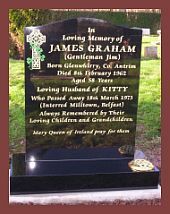 Watty Graham was also the son of a Glenwherry James Graham who had moved to Maghera, County Derry, where both became heavily involved in the Republican United Irishmen Society. Both had a price on their head. James was able to escape to America, but his son Watty, lingered too long to collect some money he was owed and was betrayed and captured, he was hanged at Coleraine. Never at any time can one discover a sectarian nature to the Graham's, quite a rare quality in these six north eastern counties of Ireland. My own family stem back to these early Graham's who set up Grahamstown at Glenwherry in the 1650's. Samuel Graham and Elizabeth Graham (nee Johnstone) . Of Kernyhill, Glenwherry, my Great, Great Grandparents, their children were Francis, David, William and Samuel. David and Ann Graham (nee McCrea),of Kernyhill, Glenwherry, My Great Grandparents) were parents of my Grandmother, Elizabeth Graham, Born 2-6-1865, David and Ann had three other children, Ann, Samuel, and a 'female' child. Their farm was on the hill (Kernyhill) immediately behind "The Battery Inn". An earlier generation of this family were known to have hid the vessels of the mass so that Catholic could hold a secret mass during the Penal Days. One must recall at this time Prebyterians also suffered under the Penal Laws. It wasn't until 23rd January 1871 that Fr. Lynch was able to purchase a tenement from A local landlord, Thomas Casement, Esq, on which he erected a number of cottages, one of which served as a school house and temporary Chapel. Fr. Lynch had early erected a new Catholic Church at Ballymena which was dedicated 11th November 1860 by dr. Denvir. James and Isobelle Graham of Kinneygallagh, Glenwherry were parents of my Grandfather, James, who was a "Grahamstown" Graham, son af another James Graham. James Graham and Elizabeth Graham,(nee Graham), my Grandparents had three children, Ann, Richard and James (my father). I suppose I must mention that at some point Elizabeth converted to Catholicism before the birth of her two sons Richard and James, hence they were both baptisted Catholic at birth. James Sen. died in 1906. It was soon after that Elizabeth and the three children moved to Ballinahinch, County Down, where they lived at Dromore Street. Ann by then had finished schooling but the boys attended St.Patrick's Catholic School in the town. Elizabeth died at Ballinahinch and is buried locally. Their daughter Ann (named after her Grandmother)later married Thomas Bell of Ballinahinch where by now the family were living, Ann and Thomas had nine children. Thomas, Mary, David, William, Samuel, Norman, Nan, Isobelle, and George, the latter being twins. Their son Richard eventually "went on the run' first to Canada then eventually to the U.S.A. 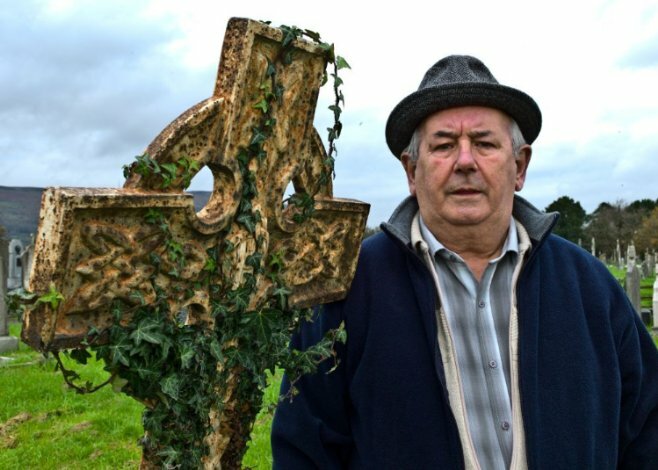 He had served in the 1st World War and lived in Ballinahinch where he became involved in the early 1920 troubles. Although small, Ballinahinch, at that time, witbessed running battles in the predominately Catholic Dromore Street when it would come under attack from the majority Loyalist section of the town residents. Many are the stories of the heroism of Richard in defence of his co-religonists., it was said that there wasn't a man in the town who could stand, " toe to toe with him"
In earlier Generations of the Graham's, back in Scotland, there was a Richard Graham from whom all later Richards obtained their names, this Richard (Ritchie) was a great warrior and leader of the Graham Reivers in Scotland. Above Richard and his English(Leicester) born wife Doris whom he met in Canada and their first born child also named Doris. They are pictured outside his little shoe repair shoe in Rose Hill, Los Angeles 'mid 1920's. The couple later had two sons, Richard and Patrick. Richard Sen, continued his love of music and at one point supported Cathal O'Byrne on concert in California when Cathal was touring the states raising funds to build houses for burnt out Catholics in Belfast . Joe and Ann Graham and children, Deborah Joseph and Sean. Joe Graham pointing at site of former USA Army Barracks, the blue X on wall of the new Buildng would be where the rooms of the old Scotch's Quarters would have been . during the last world war. A time when streets of houses were levelled to the ground by German air-raids and in one particular raid, May 1941, 1,000 people were killed. A story my mother liked to relate was, due to me being so swarthy, while I sat in a pram she was pushing, she was asked one day by a passing black American soldier, “is the baby one of ours?”, I can still see the laughter on her face to this day as she told that story. The Carrick Hill tenements, more commonly called ‘rooms’, would have been quite cramped but housing was scarce in Belfast at that time when I had 4 older sisters and three brothers, after me twin brothers and two more sisters were to arrive, 12 children in all and my mother would joke she found us all, one by one, ‘under a gooseberry bush’. Most of us, as was the tradition then, were named after Aunts, Uncles or Grandparents, starting with the eldest, there was, Bridget, Patricia, Elizabeth, Richard, Annie, Patrick. Hughie, Joseph, Myrtle, Brian, Noel, and Geraldine. No doubt the name with the oldest genealogical link was Elizabeth, or Betty as we call her. Betty was named after our Grandmother who was named after her great Grandmother, Elizabeth Graham, of Grahamstown, Ann too could be even longer linked to our great Granmother although named after my father's sister Ann. Glenwherry. “Grahamstown”, which came into being in 1637, disappeared in the town land shake up of 1970 when the Post Office decided to drop a lot of the ancient townland names from the postal address system, it just became Glenwherry. The grave of my father at Coventry, Patrick James, (Jim)(inset Pic) died 8th February, 1962, having just arrived there with my mother and the four youngest children, he collapsed under the most tragic circumstances and was rushed to hospital and died at my sister Bridie's Coventry home some two weeks later. My Mother, Kitty (Inset) died 18th March 1973 at Belfast and is interred at Milltown cemetery. James was a highly articulate and educated man, very learned in Irish history and folklore. A devout Catholic and wonderfully caring father, selfless, like my mother, to a fault in their caring for us. Left to right, my Sister Betty, Sheena, Richard's wife, Richard my brother, Myself & Ann, My brother Hughie, My sisters Annie and Myrtle, and Shelia, Hughies wife. In Ballymurphy up to this point only Union Jacks had been flown by Loyalists around periods like the 12th of July, and often enough a man called Billy Savage was arrested and imprisoned for tearing down the Union Jack displayed there at Ballymurphy Road by Arch Loyalist William Mooney, no Tricolour had ever flown in the estate up to this time. However, a milestone was about to be turned, and that occurred when my father displayed the Tricolour on a long flag pole from an upstairs window. During the night hours it was illuminated by two 150 watt electric bulbs affixed to the pole, my father explaining, ‘a flag should never fly in darkness’. Well, while my father, was marking his colours, my mother , Kitty, must have been thinking ‘since we can’t have a pipe band parading round the streets of Ballymurphy we will have the next best thing’. On the day of the Emmet celebrations she had the radiogram lifted out into the garden and all day long rebel records were played, Mr. Mooney, the Orangeman, woke to the strains of “Father Murphy From Boolavogue”, had his breakfast with, “Kevin Barry”, dinner with “Sean Tracey” and supper with “Bold Robert Emmet The Darlin’ Of Erin”. A sub theme for the whole event could just as well have been “Remember Billy Savage.” Needless to say there was a visit to our house by the R.U.C. to protest about the “offensive flying of the Tricolour”, they left rather sheepishly when our Protestant neighbours asked them , “Who is offended, we are not, did you drive all the way up from Springfield Road Barracks to be offended” ?. Coincidentally, Loyalist Andy Tyrie was later to marry one of Mr Mooney’s daughters. Sean and Rosie, Joseph and Sean Jnr, at Windmill Lane. My Brother Richard's remains entering St Peter's Cathedral for his funeral Mass, 22nd December 2008. (Died 18th December) interred Milltown Cemetery.